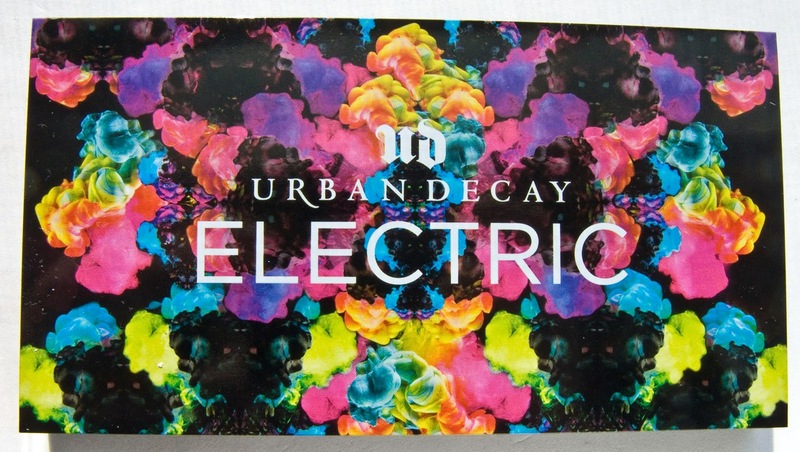 The Urban Decay Electric Pressed Pigment Palette retails for $49US or $58CAN for 10 x 1.2g / 10 x 0.04 oz worth of product. 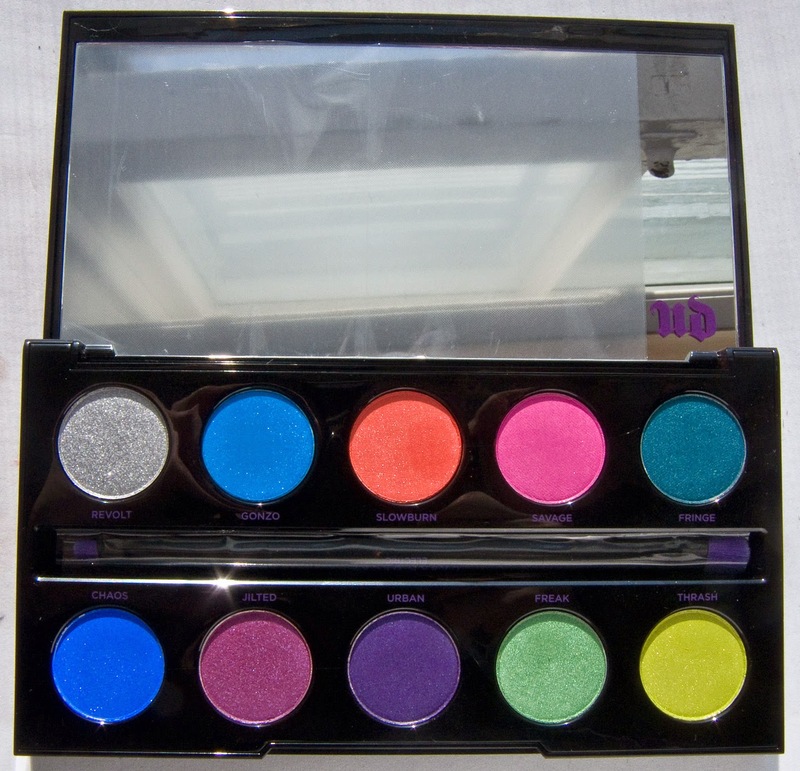 Products: Most of these shadows are powdery with the exception of the metallic finish ones which are buttery in nature. 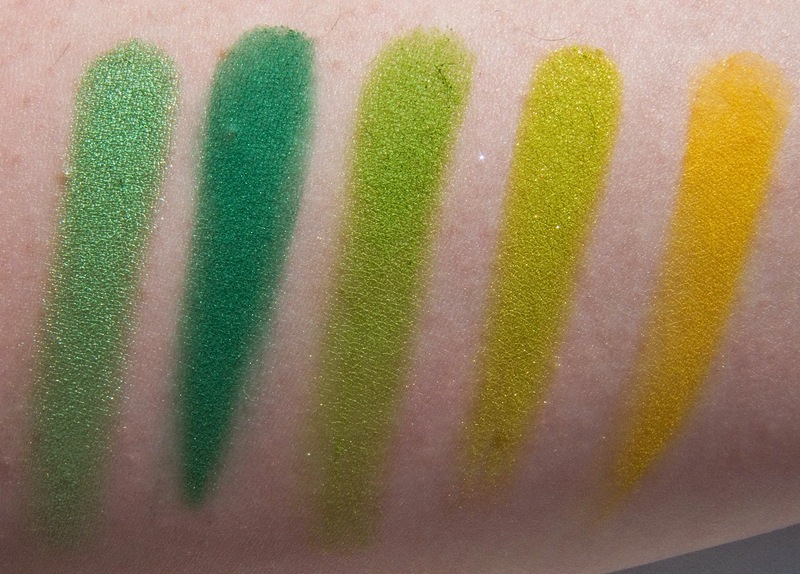 The matte blend shades do have a bit of cast off due to pigmentation rather than chalkiness in the formula so it best to patch these on the skin. 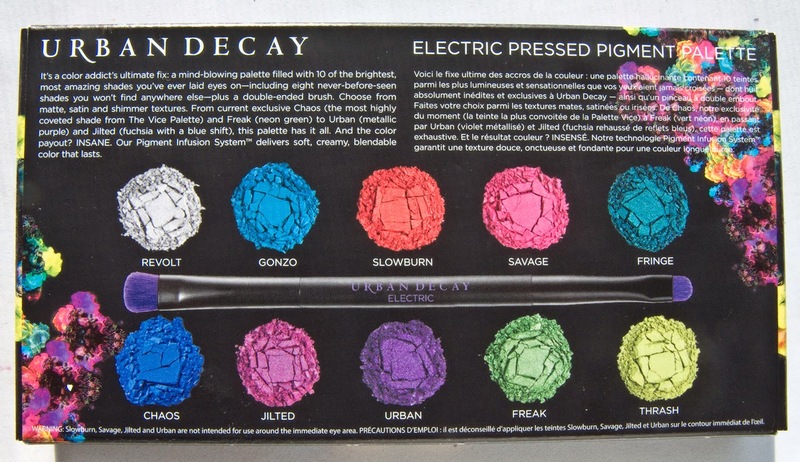 4 of these shade Slowburn, Savage, Jilted, and Urban have not been certified or the proper paper submitted to be deemed eye safe but that have been in the Europe and Canada gone through testing. They do linger on bare skin but I have no issues with stains with a good eye primer myself. I found that the Blue shade left more noticeable staining on my skin and it was harder to take off. Now in terms of eye sensitivity, there is a small and I do mean a very small percentage of people that have a slight eye irritation to those shades. It's usually a case the lid to get slightly puffy. I get this reaction with latex eyelash glues myself around the eye area. >_< So take a look after you try them out to see if you notice anything like that. Revolt is metallic silver shimmer with silver glitter. The base seems a bit sheer but the application is consistent. 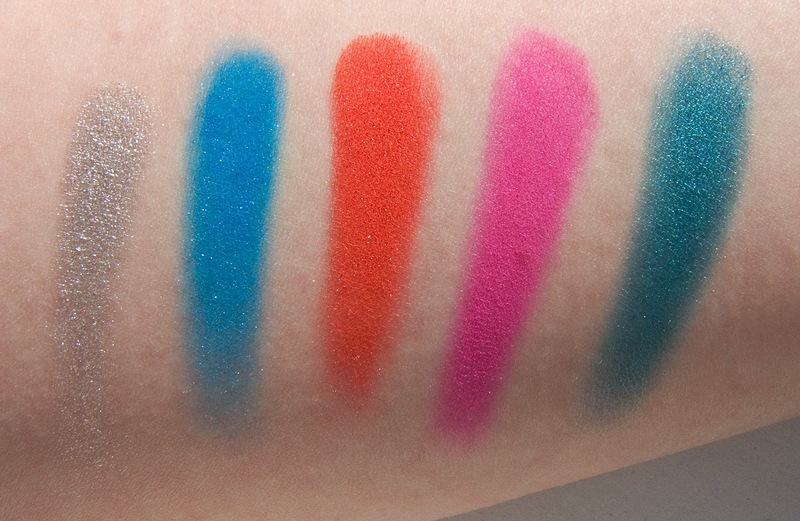 Gonzo is a bright turquoise matte with pearl flecks. Slowburn is a violent red-orange this is a matte finish with white pearl shimmer. Savage neon hot pink with a matte finish. 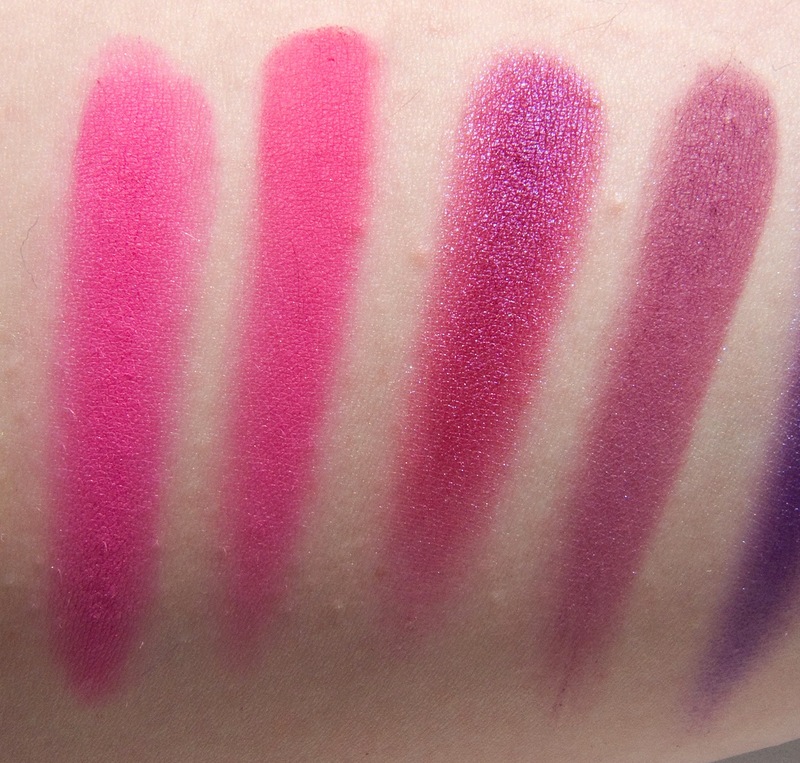 It slightly powdery in texture compared to the rest of the shades. Fringe is a bright metallic teal. 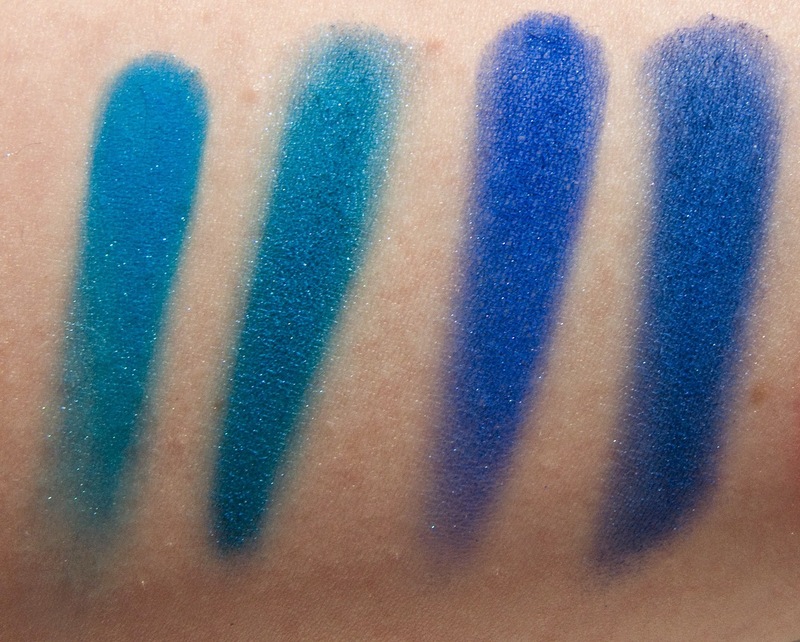 Chaos is a saturated cobalt blue matte with pearl flecks. 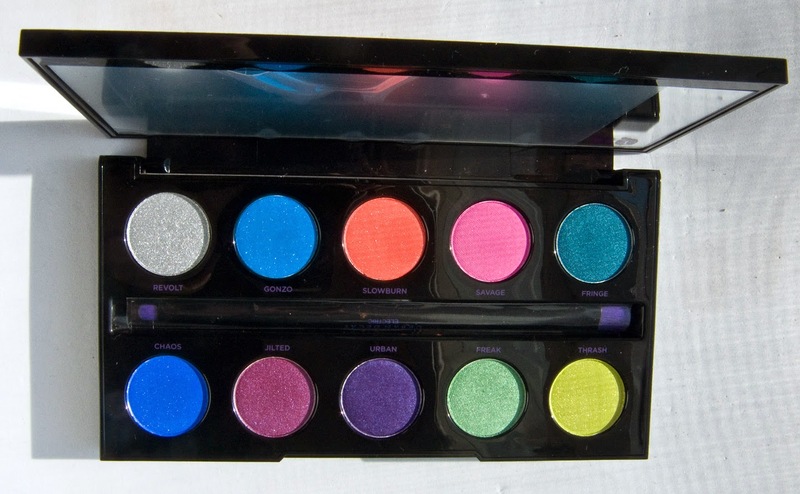 This shade seems improved in terms of formula compared to the VICE palette. The texture seems smoother. 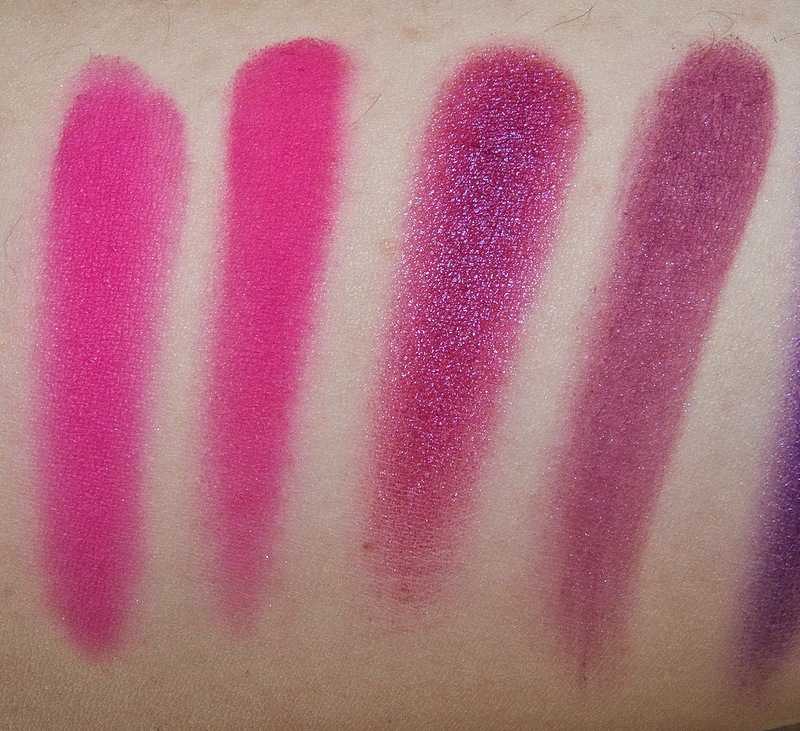 Jilted is a metallic fuchsia with a strong blue shift. 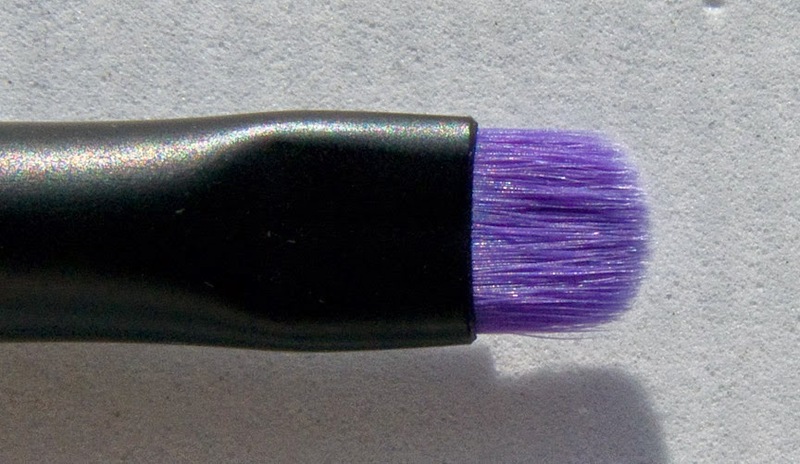 Urban is a rich metallic purple with a subtle blue shift. Freak is a bright light green with subtle gold/yellow duo chrome. Thrash is a vivid bright chartreuse lime yellow with gold pearl flecks. 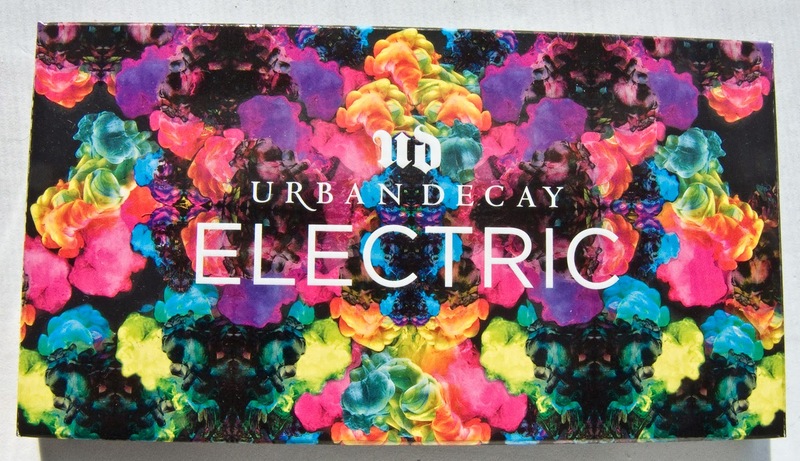 Packaging: This palette box is my favourite they have put up for packaging. 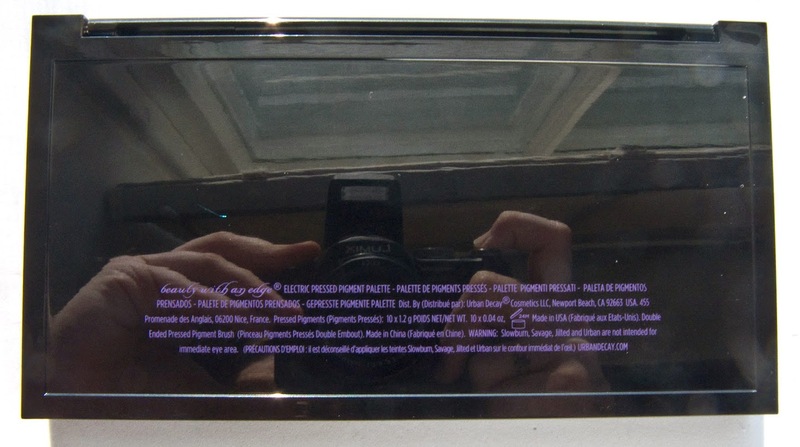 The lid with the full mirror and a sturdy hinge that holds it position so that you can use it as a table top mirror. It also not too heavy! The artwork on the cover it fun as it's a colleague of pigments in water mirrored with a few centre plumes to marry the sides. 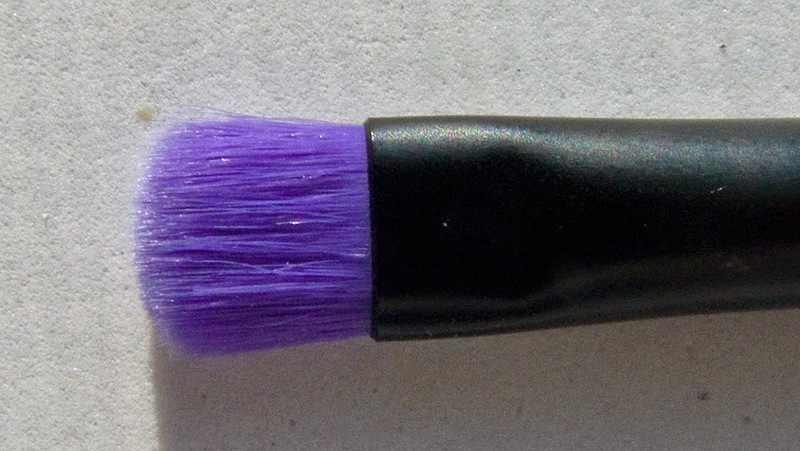 Double Ended Electric Eyeshadow Brush is nice. I wish the shadow end has more of a dome shape rather than a box shape at the tip as that shape work best for picking up powder products. The short end is great for detailing. 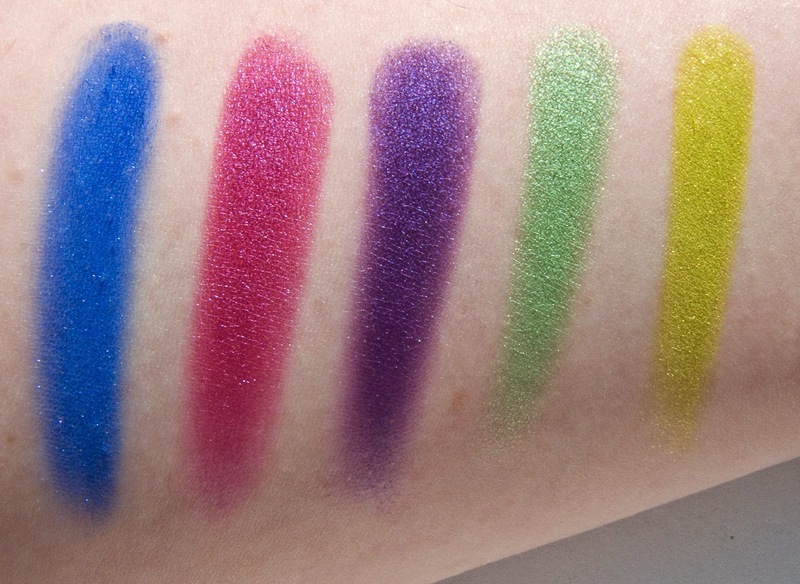 Compare: Here a comparison to Sugarpill's pressed powders in terms of similar shades as a comparison as they are the brand I think of for vivid colours. 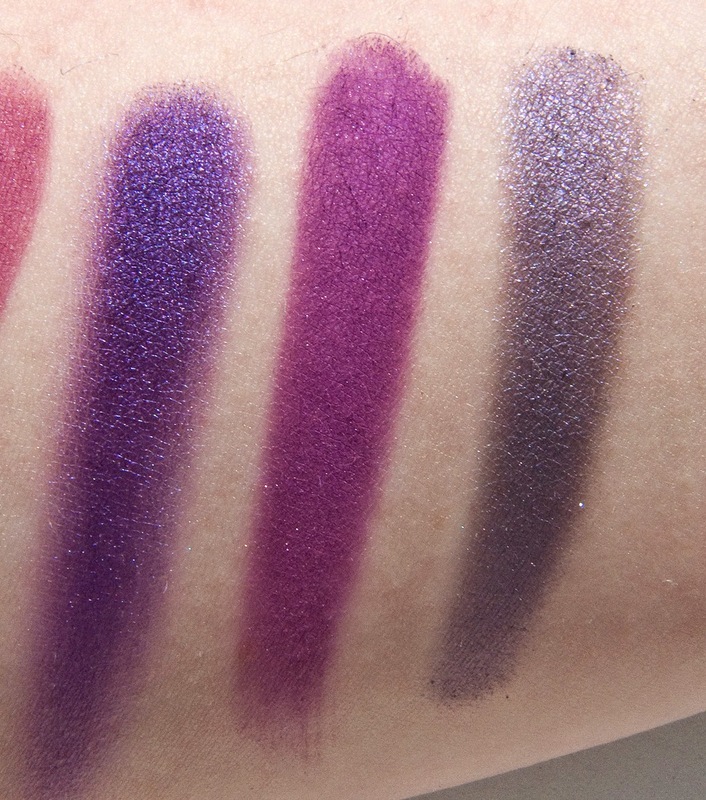 Gonzo compare to Afterparty is a mush more matter shade than the Pearl finish of Afterparty. Afterparty is a touch deeper as we. 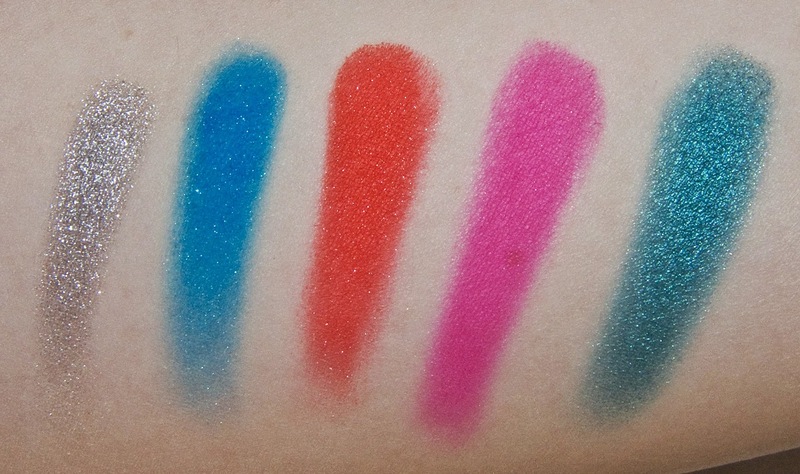 Chaos compare to Velocity is a bit more vivid, but both are a matte finish and Chaos comes off as a smooth texture. 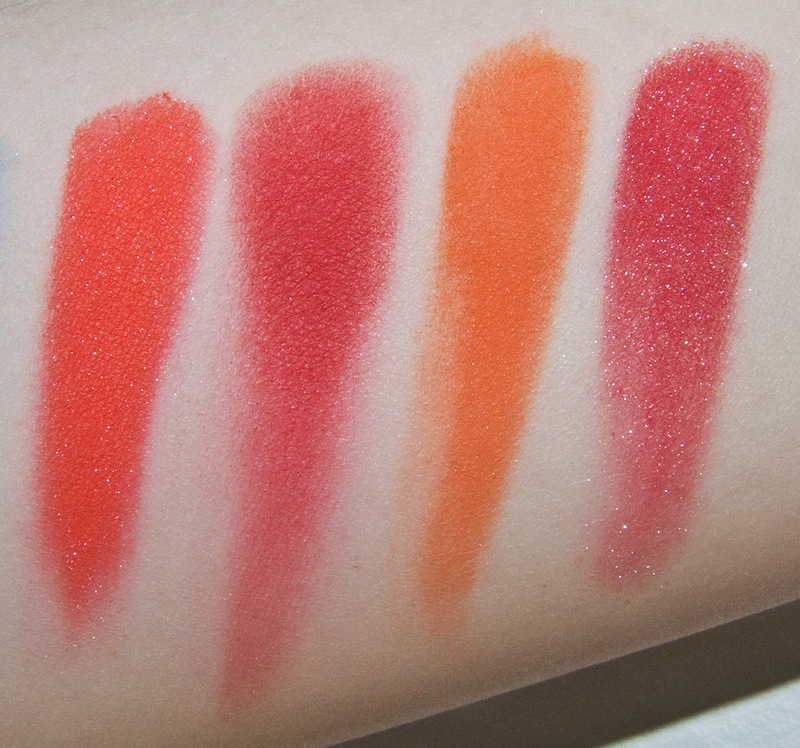 Slowburn is warmer much the Love+, more red tone then Flamepoint, and hotter then @#$%! but the texture and finish of these two are very similar. Savage and Dollipop are VERY similar but Dollipop has the nicer texture. Jilted had pearl finish but 2AM it matte shade. 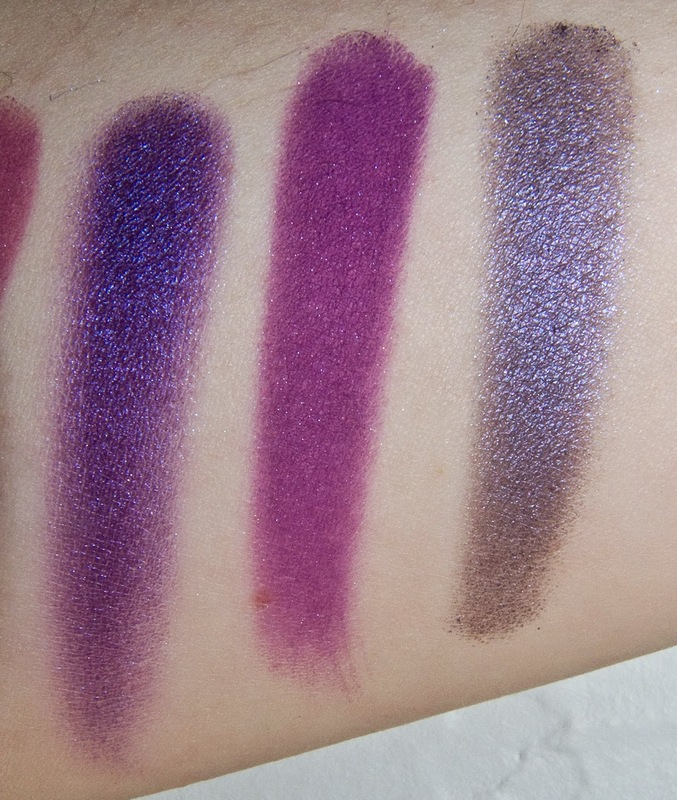 The undertone of these two are the same but the duo chrome nature of Jilted makes it a different shade. 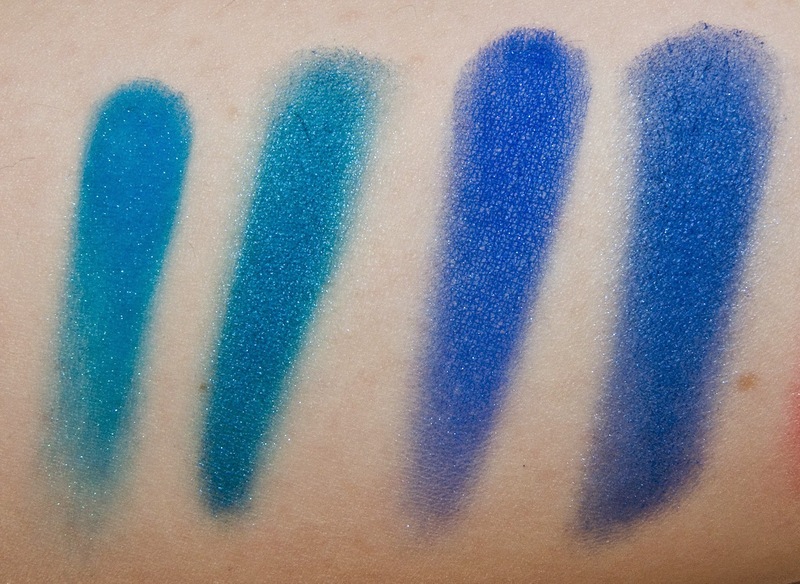 Urban is much bluer-based than Poison Plum, and Elemental Chaos is much smokier compared to Urban but they have the same pearl finish. 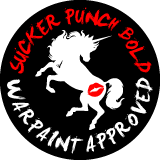 Acidberry is much more of a green tone to Thrash, and Buttercupcake is much more yellow compared to Thrash. 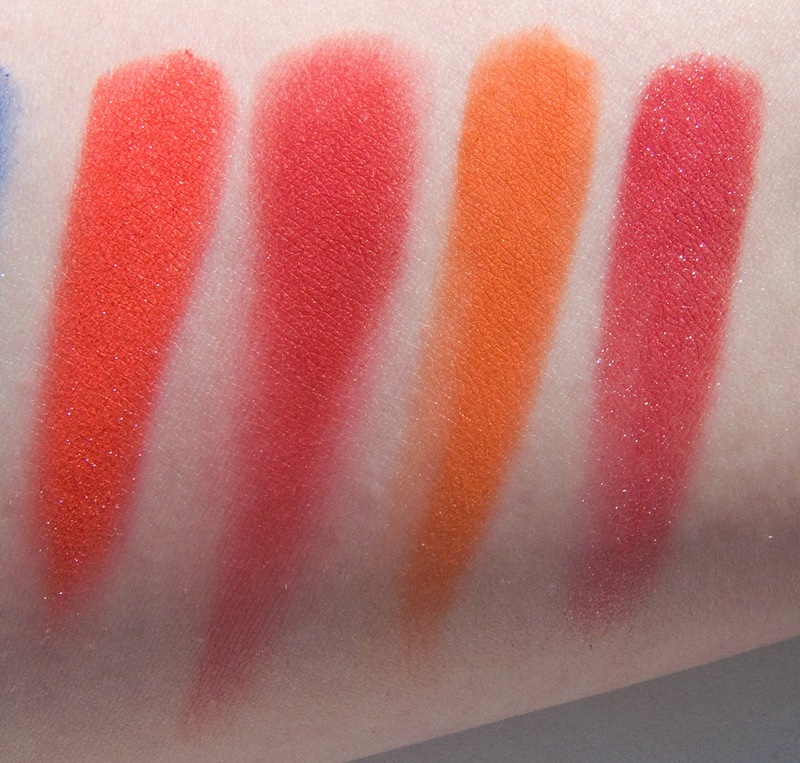 Daylight swatches: Slowburn, Love+, Flamepoint, & @#$%! 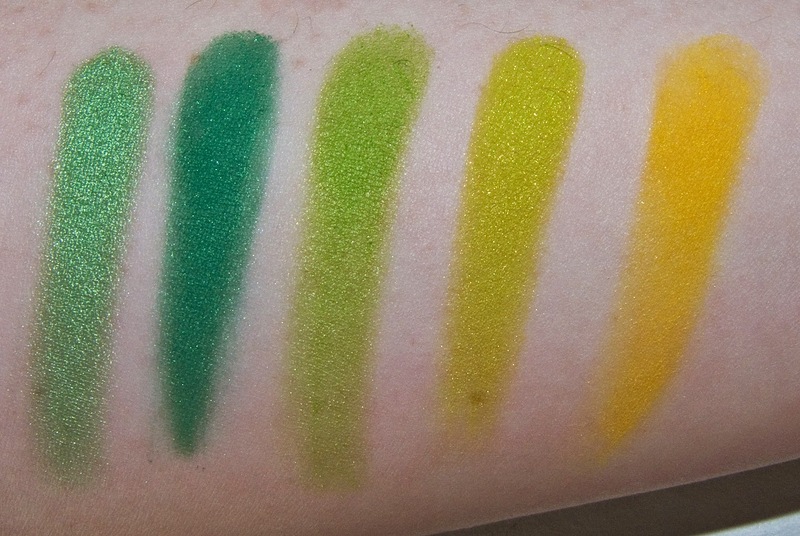 Flash swatches: Slowburn, Love+, Flamepoint, & @#$%! Love this!!! I fee like this compliments my Sugarpill shade rather then a replacement for them. 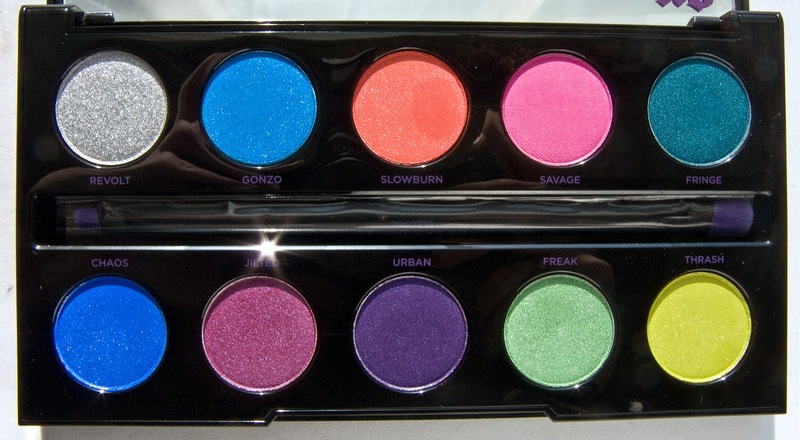 The one thing I though of was that Revolt seem out of place in this palette and could have been replaced with Orange or Yellow shade to round this palette out a bit more. Dangit! 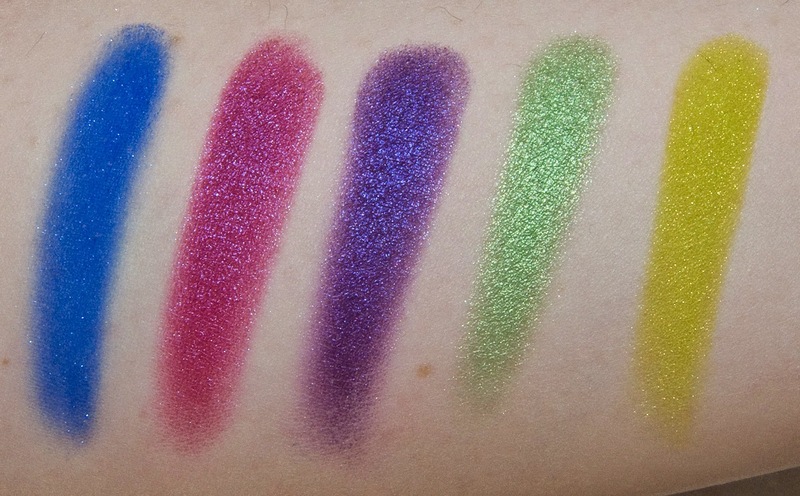 I keep telling myself I don't need this palette because I can't possibly imagine where I'd wear them, but each time I see swatches I'm so tempted!